Climate Change and Innovation in the Building Sector (CIBS) is a research project. The aim is to contribute to dialogue, learning and innovation among compagnies, institutions, planners and residents on future demands to the building sector. 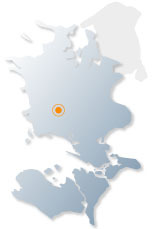 The project has a regional perspective and is situated in region Zealand in Denmark. Sustainable transformation of the construction and housing sector is a main future challenge. Climate changes raise new construction demands. Experiments, innovation and sharing of experiences are necessary to support changes in the building sector. 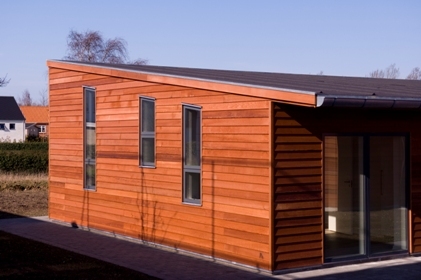 On this web-site you can find case-studies about development processes and local initiatives supporting sustainable building from the viewpoint of a region in Denmark, region Zealand. The project CIBS - Climate change and Innovation in the Building Sector focuses on the possibilities from a local regional perspective to support innovations and sustainable building activities. How can compagnies, communities, local governments and involved institutions support sustainable building? Local communities in Denmark show a variety of experiments and initiatives, involving technologies as well as user life styles, regulation practices, and innovative building compagnies. You may visit some of the innovative building projects. Tours to Egedal, Roskilde, Albertslund, Lolland, Køge, Fri & Fro, and Hallingelille can be arranged, see the catalogue. The project is financed by Vækstforum Sjælland.